Recently, I wrote an article about new drone market projections from Global Market Insights, Inc. where I talked about the impact that law enforcement drone use will have on the commercial drone industry. It seems like the trend projected by Global Market Insights is already starting to materialize in Los Angeles County. Los Angeles County Sheriff Jim McDonnell recently announced the department’s acquisition of an unmanned aircraft system for use in search and rescue, explosive ordnance detection, hazardous materials incidents, disaster response, arson fires, hostage rescue, as well as armed and barricaded subjects calls. The new UAS is assigned to the Special Enforcement Bureau, where it will be the most beneficial to units under its umbrella, including the Emergency Services Detail, Special Enforcement Detail, Arson/Explosives Detail and the HazMat Detail. Do you live in or near Los Angeles County, California? Drone Universities offers a number of cost-effective drone operator training courses. Learn how to fly your drone with the confidence of a professional. Let us prepare you for FAA Part 107. 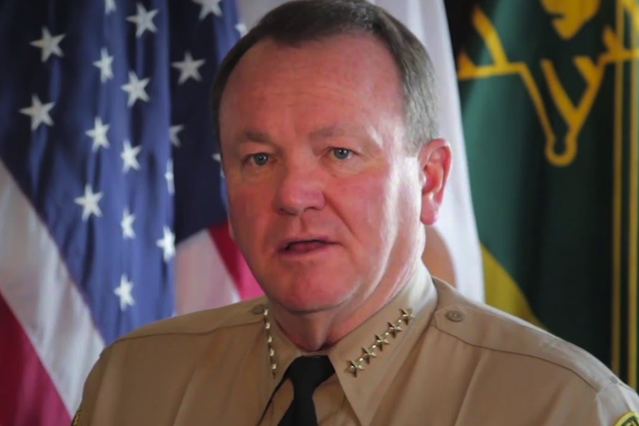 James “Jim” McDonnell is the Sheriff of Los Angeles County, California. McDonnell was elected as L.A. County’s 32nd sheriff on November 4, 2014 defeating former Undersheriff Paul Tanaka. He replaced interim sheriff John Scott on December 1, 2014 when he was sworn in. Previously he served as the Chief of Police in Long Beach, California and before that in the Los Angeles Police Department, reaching the rank of Assistant Chief. 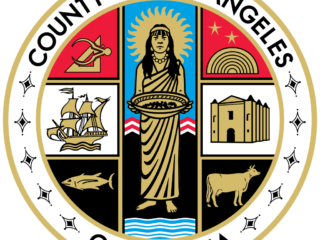 Los Angeles County, officially the County of Los Angeles, is the most populous county in both the United States and the state of California, the country’s most populous state. Its population is larger than that of 42 individual U.S. states. It has 88 incorporated cities and many unincorporated areas and at 4,083 square miles (10,570 km2), it is larger than the combined areas of the U.S. states of Delaware and Rhode Island. The county is home to more than one-quarter of California residents and is one of the most ethnically diverse counties in the U.S. Its county seat, the City of Los Angeles, is also its most populous city at about four million.